You guys!!! 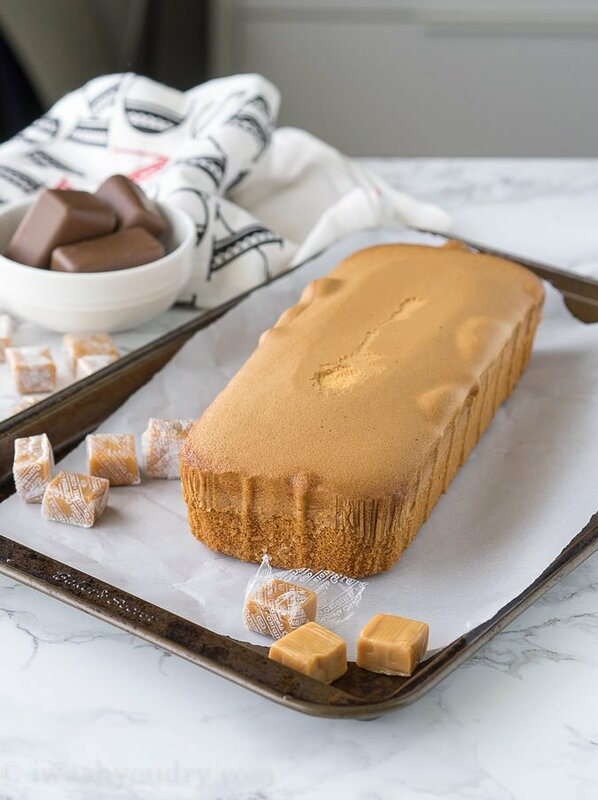 I can’t keep my excitement in, this Super Easy Twix Pound Cake is beyond good, it’s stellar! All you need is just 4 simple ingredients and you can whip this guy up in no time! 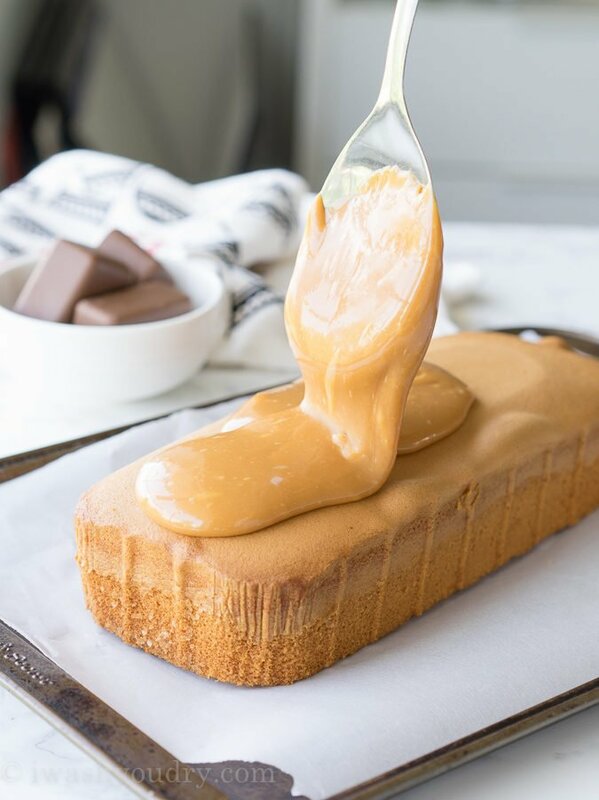 I’ve made a peanut butter, mint and coconut version of this super easy treat, so I figured it was time to bust out some caramel! 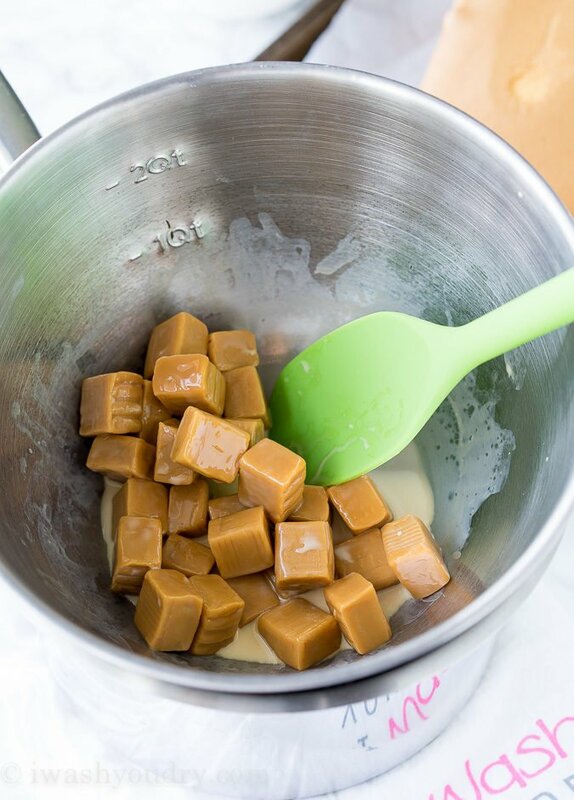 Unwrap some some soft caramels and combine them with a little bit of evaporated milk over a double boiler. Basically, just bring a small pot filled with about 1 to 2 inches of water to a boil. Then place a bowl on top of the pot, so the bottom of the pot does not touch the water. This method will evenly melt down your caramels and not burn it, resulting in a smooth and creamy caramel! 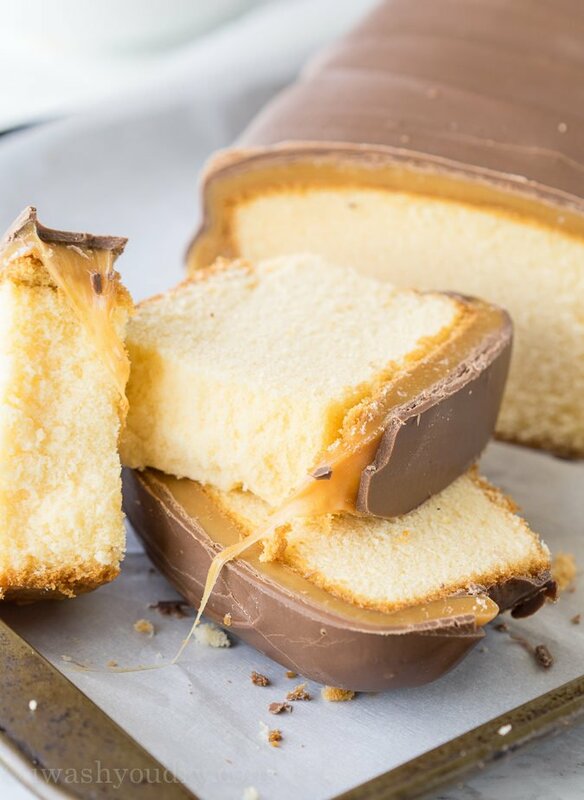 You’ll want to let the caramel mixture cool considerably before spreading it over the top of your pound cake. Otherwise it will want to run off the edges. 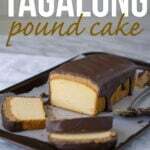 Pop the pound cake in the fridge for a few minutes just to make sure the caramel is nice and firm. All that’s left is to cascade that chocolate over the top! I love using almond bark candy melts for this because it’s more of a candy bar topping, rather than a hard chocolate shell. 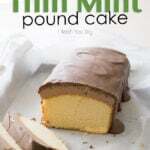 Try to spread the chocolate all around the pound cake, covering the sides as much as possible. 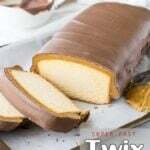 That way it will look like a giant Twix bar! 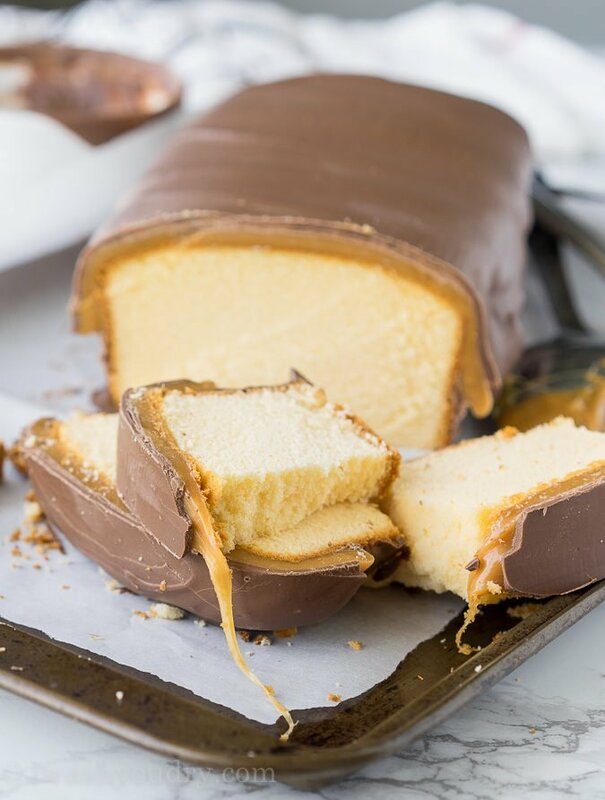 When you slice the pound cake it’s a tender cake that’s covered with a layer of caramel and sweet chocolate. 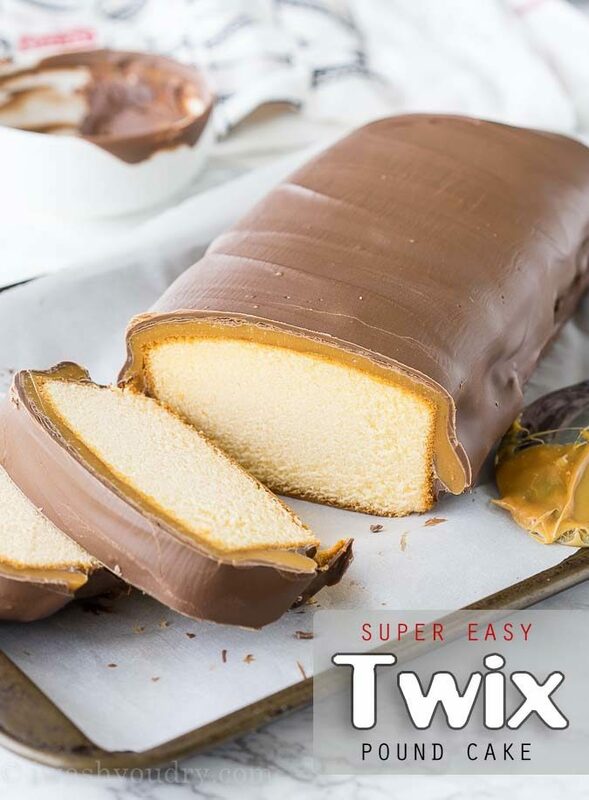 This super easy Twix Pound Cake is just a few ingredients and tastes stellar! Melt the caramel and evaporated milk in a double boiler, stirring until soft and smooth. Remove bowl from heat and let cool completely. 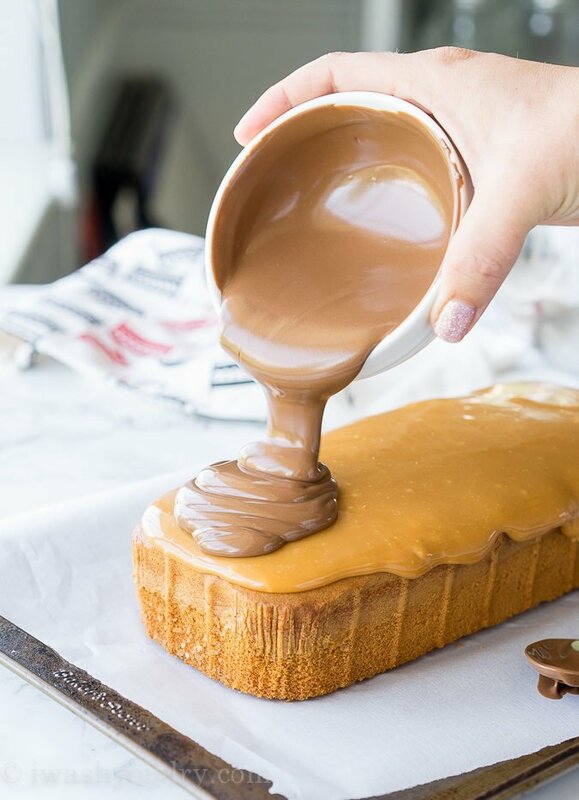 Spread/pour the caramel over the pound cake, try to not let it drizzle over the sides. Chill in fridge for at least 10 to 15 minutes. 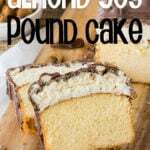 Melt the chocolate almond bark according to package instructions and spread over the top of the pound cake, spreading it on the sides as much as possible. Let the chocolate harden, slice and enjoy! I’m gonna add peanuts and make a snickers cake. Thank you very much! Does this need to be refrigerated if not eaten right away? I would be making it 2 days in advance. Get best information. thanks for the post. Which Grocery store? One of the chains or a more specialty or health conscious type?